This event is sold out. If you'd like to be placed on a waiting list, please email julia@aiaaustin.org. Join the CRAN Committee for a tour of this remodel designed by Erica Keast Heroy, Architect and enjoy lunch from Taco Deli, generously sponsored by BMC. "This house was originally designed as a 2 bedroom, 2 bath pink brick ranch. When the current owners bought the home in 2012, they did a quick remodel to open up some walls, remodeled the kitchen, and converted the garage to a master suite for a total of 3 bedrooms and 3 baths. However, the family quickly outgrew that remodel and realized that they did in fact need a garage and definitely needed bedrooms for all their children and some kind of office space. They had also grown to love their family home, especially the pink brick and wanted to keep the feeling of the original spaces. 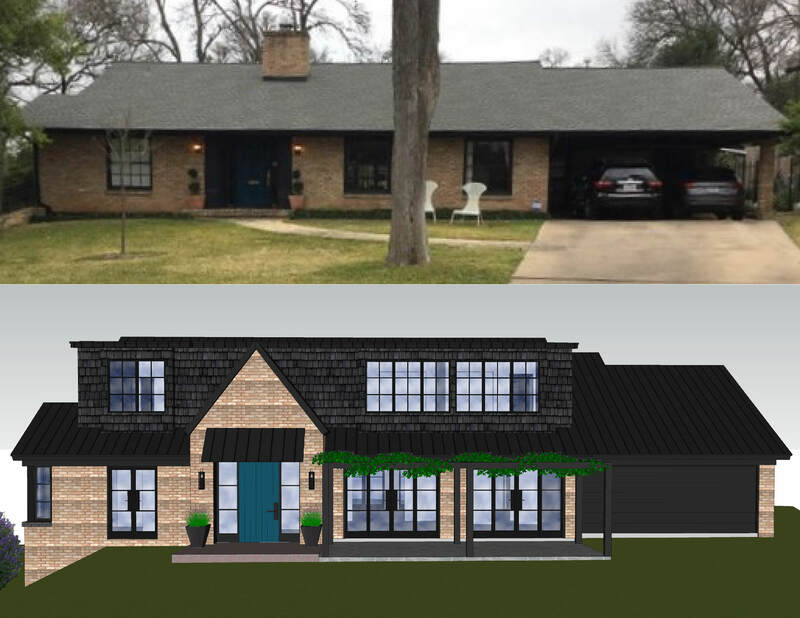 This current re-remodel and addition gives them back the garage, a new mudroom entrance, a new master suite, powder room, and office on the first floor. The second floor has 3 kid bedrooms, bathrooms, small laundry, and a small playroom. We really wanted the second floor addition to look and feel like it was popping out of the original long horizontal roof structure although it is all new. We also kept the 8’ ceilings downstairs as we really wanted the house to feel original and remodeled rather than new construction. We have several ceiling elements to help the space feel fresh and modern. It was also important to us to not paint the brick and let it be a focus of our new exterior color scheme." 2. Identify a project on day one for viability - Is client ready; are clients wants and needs in line with the existing house and property? Does those line up with architects values and realistic timelines? 3. Explain house character and what we kept and what we let go. Biggest construction challenges? Biggest Design Challenges? 4. Partnering with an Owner on the design - work styles, values align, how to make a team with the owner/ builder, who does CA? when to step forward, when to step back. The Custom Residential Architects Network (CRAN) is a resource for those that practice residential architecture. Montly meetings usually consist of a project tour, continuing education, and lunch. Our meetings and events are open to everyone, and we invite you to become more involved with CRAN.